Rack ’em up! Play 8 ball, captain’s 8 ball, 9 or 10 ball. A regular group meets Mon, Wed & Fri mornings or play anytime. Jigsaw puzzles are excellent brain training. Come lend your hand at the puzzle table. Tai Ji Quan: Moving for Better Balance (Free until 12/20) M, W, F 10:00AM - 11:00AM Free class for a month. 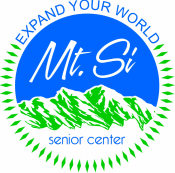 This class is a researched-based, balance training program designed for older adults at risk of falling. It addresses common, but potentially debilitating balance impairments or deficits. This group has room for every kind of crafter. Bring your ideas and projects and have fun with this crafty and creative group. Bring your own supplies, paint, brushes, pencils, beads, wood, metal, yarn or clay. Quilting is the great American handicraft. Quilts have amazing stories and are sewn with great love and care—a true reflection of the people who make them. Anyone regardless of skill level is welcome. Yarn work is therapeutic! Some say it is the new yoga because of its relaxing and meditative qualities. Bring your yarn, needles or hooks to work on your current project. Enjoy conversation with others. Get help if needed. Get your color pencils, pens and crayons and rediscover a joyous activity from your childhood. New people are joining every week. Absolutely everyone is welcome to come color. A regular group meets on Monday afternoons but you may drop in any afternoon. This centuries-old game is almost an obsession for many players. Dominoes is like life—you must have patience and a strategy to get past all the blocks. The lively group plays Mexican Train. Newcomers welcome. Rummikub is a fast-moving rummy tile game. It’s terrific if you want to work your mind against some highly capable opponents! Come test your mettle. Have a good time laughing with a fun group of people. Roll the dice, ring the bell once or twice, and see if Lady Luck shines on you. You will certainly be lucky in FUN. ​If you've ever wanted to take up this fascinating and challenging card game, here's your chance. Learn the game or hone your existing skills. Novice Bridge players are welcome! A great way to keep active while having fun with friends at the same time!! This is virtual bowling, no heavy balls to lift, if you can swing your arm, you can get “strikes”. Everyone can play. Always looking for new bowlers! This group also has two teams, the Strikes and the Spares, which compete in local Wii bowling tournaments. Join the fun and help us bring home the trophies. Tu 5:30PM - 8:00PM at Sno-Ridge Apts. Do you have some tricks up your sleeve? This is a great way to wile away the afternoon or the evening with friends. Do You Have Ideas For A New Activity? If you have ideas for a new activity we’d like to hear about it. The Adult Coloring Group and Rummikub players got started this way. Someone had an idea, talked to us about space and scheduling, and they recruited friends to join them. Now these groups are taking on a life of their own! We’ve considered a book club, origami and card making, but we really want to hear about your interests. All we need are leaders for any of these self-run activities. Contact Demelza Riley, Programs Coordinator today!